Journeyman Lineman Eddie Quintana has joined the La Plata Electric Association in the Operations Department. He brings years of experience to the co-op. In the electric utility industry, linemen are responsible for constructing and maintaining electric power transmission and distribution lines and facilities. 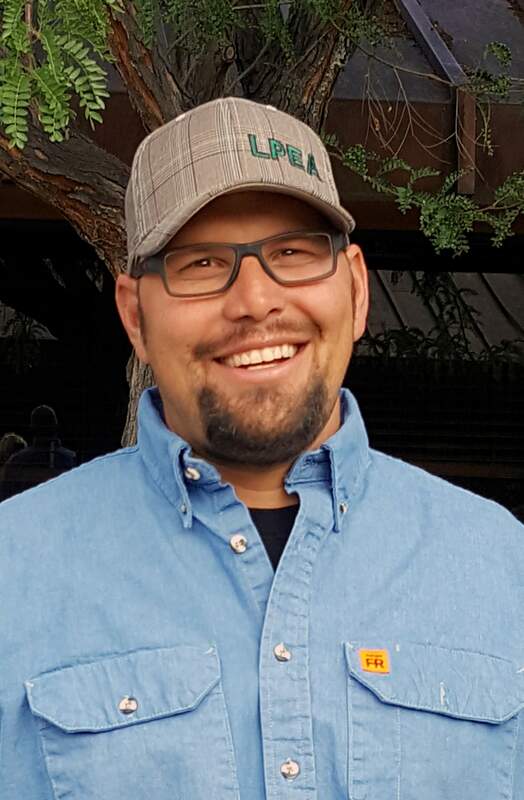 Raised in the Albuquerque, Quintana attended technical school in Las Cruces, New Mexico, focusing on welding, and pursued his initial career in the construction field. He took his skills to the U.S. Navy, where he served the country for five years – deployed twice in Iraq, as well as stationed the Gulf of Mexico following Hurricane Katrina. It was in the Gulf his interest in electrical line construction was piqued, as the Navy was tasked to help restore power to those affected by the hurricane. After leaving the Navy, where he rose to E-5, petty officer second class, he earned his journeyman lineman with Southwest Line Constructors, Local 611.